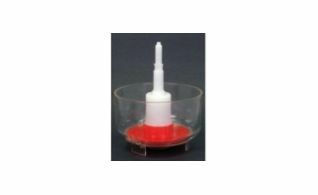 Bottle Drainers and Sulphiter are made of a strong plastic with a wide anti-tip base. The Bottle drainers come in a variety of sizes holding up to 90 bottles at once. 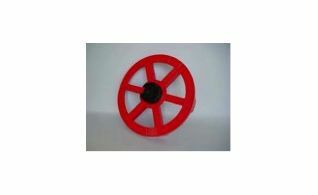 The sulphiters can be used alone or mounted to a bottle drainer, they facilitate your wine and or beer. 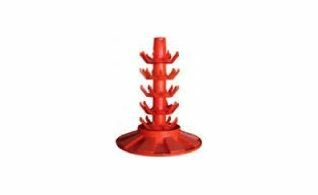 Bottle drainer that holds 45 bottles and is made of strong plastic with a wide and anti-tip. Bottle drainer that holds 81 bottles and is made of strong plastic with a wide and anti-tip. 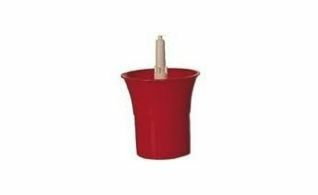 Bottle drainer that holds 90 bottles and is made of strong plastic with a wide and anti-tip base. 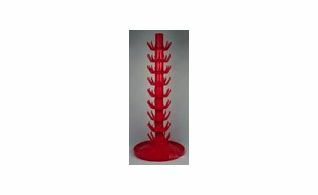 Bottle drainer that holds 45 bottles and is made of strong plastic with a wide, anti-tip base and rotates. Rotating drainer base for the 45 bottle drainers. Small sulphite that rinses with sulphite solution and facilitated your wine and beer making.